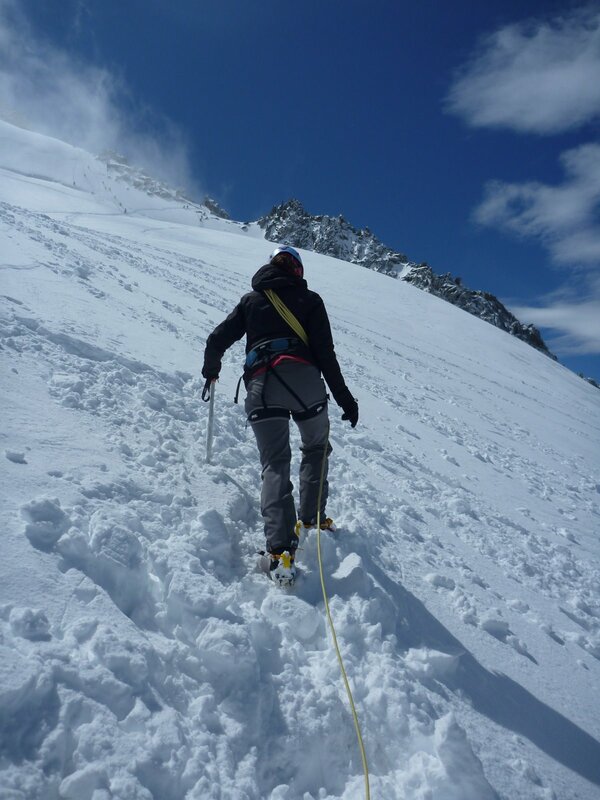 The plan was to use the long July weekend to go to Chamonix, spend first two days on working on our mountaineering skills with UCPA and then climb Mt Blanc over the following two. Unfortunately we never made it to the top, what's more - we haven't even tried, partially because of the weather breakdown, but mainly though because I have sprained my ankle during the UCPA training. My sprained ankle after a visit to the local doc. Which finally turned out to be a very good decision, as the next day two climbers were found frozen to death in the same area where we were meant to be then.